Ludington Daily News wrote: Harsco Rail announced to its Ludington employees Thursday morning that it is moving all of its manufacturing under one roof, to Columbia, South Carolina, which will impact 134 production workers at its S. Jackson Road plant. Jay Cooney, vice president of communications for Harsco, said the company was meeting with individual employees Thursday to see who might be interested in transferring to South Carolina, who may take an early retirement or who may take a severance package. Janet Shinsky, president of Local 811 of the United Auto Workers, which represents the production employees of Harsco, said through one of her fellow employees that she had no comment at this time. No one will transfer, retire or be released before April 1, and the process will be completed by June 1, Cooney said. Cooney said at least 30 employees will remain after June 1 in Ludington to handle engineering, finance and sales. Railway Age wrote: Harsco Rail will close its manufacturing facility in Ludington, Mich., as the company consolidates production operations in Columbia, S.C. Some 134 workers will be affected, according to local media reports and social media posts by Harsco employees. Some workers are expected to be offered transfers to South Carolina. No layoffs or other actions involving workers are expected prior to April 1. A spokesperson for the UAW local that represents Harsco workers in Ludington could not be reached for comment. The South Carolina facility is non-union. Workers there turned back a union bid in a 173-77 vote in 2015. 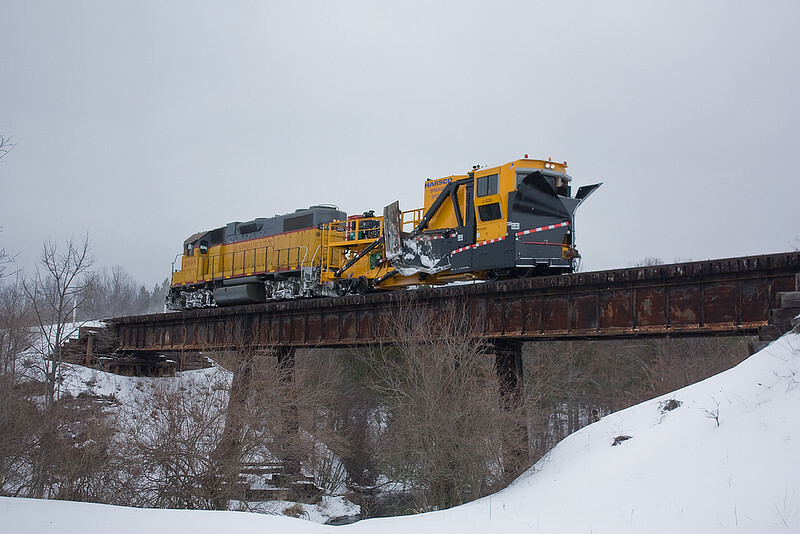 In addition to the Michigan and South Carolina plants, Harsco Rail operates facilities in Fairmont, Minn. and a research/consulting operation in Cherry Hill, N.J. (the former Zeta-Tech Associates), and owns Protran Technology. It is unclear if any of the work from those facilities will also be folded into South Carolina. Nor is it clear if Harsco plans to discontinue any of the vehicles manufactured in Michigan. An email request seeking clarification from Harsco’s public relations department was not immediately returned. 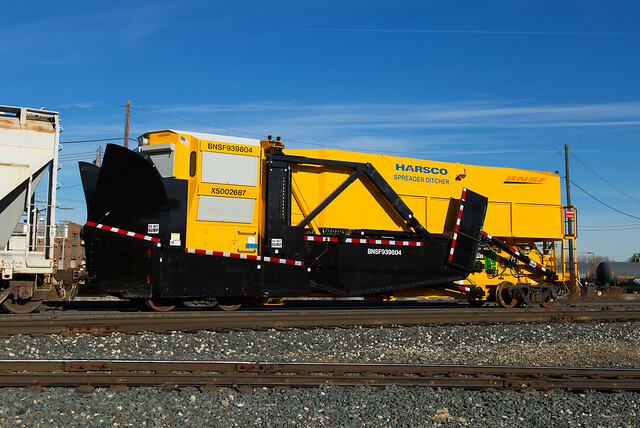 Harsco Rail builds a variety of railroad construction and track maintenance vehicles. Among the better-known pieces of equipment in the Harsco stable are the Mark VI Tamper, the RGHC Transit Grinder series, the Stoneblower track geometry machines and the Production Tie Exchanger. 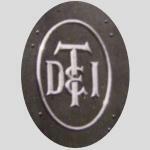 The company provides equipment and services to numerous freight and main line passenger railroads and rail transit systems around the world. Last edited by NS3322 on Sun Feb 03, 2019 8:50 pm, edited 1 time in total. Was this plow built for the Long Island RR the last one they shipped out? Photo by Mike Tabone, February 12, 2013. NS3322 wrote: Was this plow built for the Long Island RR the last one they shipped out? What is this photo location? It looks like it is the Big Sable River Bridge just north of Free Soil (south of Manistee). NS3322 wrote: It looks like it is the Big Sable River Bridge just north of Free Soil (south of Manistee). There was also a BNSF plow sent out in 2015, which I believe was the last one. It ended up being shipped directly to Railway Interchange in Minneapolis where it was on display. I was just thinking about how cool it is that Harsco has a manufacturing operation in Ludington in reference to the imminent retirement of the CR Russell Plow at Wyoming Yard, and how Harsco builds new plows and other MofW equipment right here. Such a bummer for MQT and Ludington to see the manufacturing operation close down. Before it was Harsco, it was Pandroll Jackson. The only photo I've taken of equipment parked on the old L&N branch is this shot, from June 1998, of a Pandroll Jackson stoneblower. It would be great if another rail-using operation moved into the site to continue to use the last segment of the Ludington & Northern, but that seems highly unlikely. I took this photo at Harsco back in 2005. Anyone have any idea what this thing is? They were actually testing it when I was there. Last edited by NS3322 on Mon Feb 04, 2019 12:58 am, edited 2 times in total. GP30M4216 wrote: I was just thinking about how cool it is that Harsco has a manufacturing operation in Ludington in reference to the imminent retirement of the CR Russell Plow at Wyoming Yard, and how Harsco builds new plows and other MofW equipment right here. Such a bummer for MQT and Ludington to see the manufacturing operation close down. I agree, it is a pretty big blow to the Ludington economy. GP30M4216 wrote: It would be great if another rail-using operation moved into the site to continue to use the last segment of the Ludington & Northern, but that seems highly unlikely. I took some photos of the spur in May 2016. I was surprised to see how overgrown it was. When we vacationed in Ludington, a Mr. VanLoon was our neighbor and worked there. He arranged to give me a plant tour. They made a lot of equipment back in the day. He gave me a bunch of brochures on every piece of equipment in the companies aresenal of MOW products. Saw a lot of it in Brainerd Mn. on the BNSF which is where they maintain all that stuff. The Ludington & Northern # 2 in Kendallville Indiana was the only diesel to ply those rails. When Sargent Sand shut down they sold her to Pioneer which brought her to White Piegon first. They would have 10 sand hopper cars behind the little SW going to interchange with C&O, so those rails saw a lot of weight on them. Pandroll had their own test track and siding off the main as the photos show. Then their was the SS BADGER show twice a day too. Location: Three Rivers, Mi.--Indian Rocks Beach,Fl. According to Harscorail's website, the company had a presence in Ludington since 1923. Their "tie" to South Carolina has existed since 1966.
products companies like this produce. The shuffling of economics coupled with the inevitable reality of -Change- marches on. Evidently the warmer south, and lower cost structures that can be achieved there won out. Super Chief, a peek at some of those brochures of equipment you mention would contribute to this thread. You should consider scanning some of them for the rail-fan crowd here. I know I'd enjoy looking at them. Super Chief wrote: Then their was the SS BADGER show twice a day too. There was? There still is! That was then and now for the Badger. Actually those that are in a history mode look up Scheffield Car Company in Three Rivers. The velocipede 3 wheel track foreman car was invented here. The original was tested on the old Airline to Jackson till the developer got caught by the Michigan Central. The Fairbanks-Morse company bought them and made all there switcher cabs here and shipped them to Beloit for final assembly. Back to Harsco they bought the A. O. Jordan Co. that use to make the Jordan Spreader and snowplows, so they were called Jackson-Jordan then. Weren't there a couple of slot trains assembled on the C&M a couple years ago? Were those shipped down from the Harsco plant? GreatLakesRailfan wrote: Weren't there a couple of slot trains assembled on the C&M a couple years ago? Were those shipped down from the Harsco plant? No those were prefabbed by a steel manufacturer and assembled on the C&M so that they could get the rail access they lacked. https://mibiz.com/sections/manufacturing/harsco-rail-to-cut-151-jobs-in-ludington-consolidate-manufacturing-to-south-carolina more information including a bit of history about the Ludington operation. I didn’t realize it went back almost 100 years! BNSF 939804 was shipped in November of 2016. I want to say that there was one plow shipped after that date, but I can't quite remember.